Neon Indian play a Boston double-header on Tuesday. IN BOSTON, We know all about make-up days (what with the Red Sox having their season starting and terminating in bad weather. It rains intermittently between.) Well here's one makeup date you are not going to want to miss... 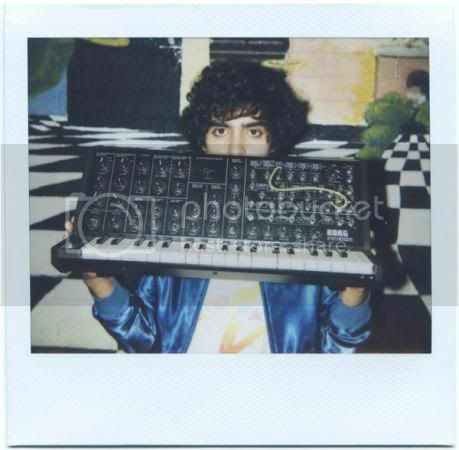 NEON INDIAN do right by the city on Tuesday after missing a recent date. (Who can blame they, the absence allowed Neon Indian to play before a national audience!) Catch 'em now, or at Bonnaroo. Actually I went to the late show last night and spoke with some of the band members for about a half hour after the show was done. The drummer was particularly nice and informed me that they were going to have to cancel the Boston date anyways because there was a ton of snow on the ground and they weren't going to be able to make it out of the city anyways. Then it just so happened that Jimmy called them on Tuesday as they were about to cancel and asked if they wanted to play on Thursday.. so it worked out well for everyone. I'm not thrilled that the show was rescheduled so many times but it's obviously not the bands fault at all and they were really nice and cool to talk to so no hard feelings.